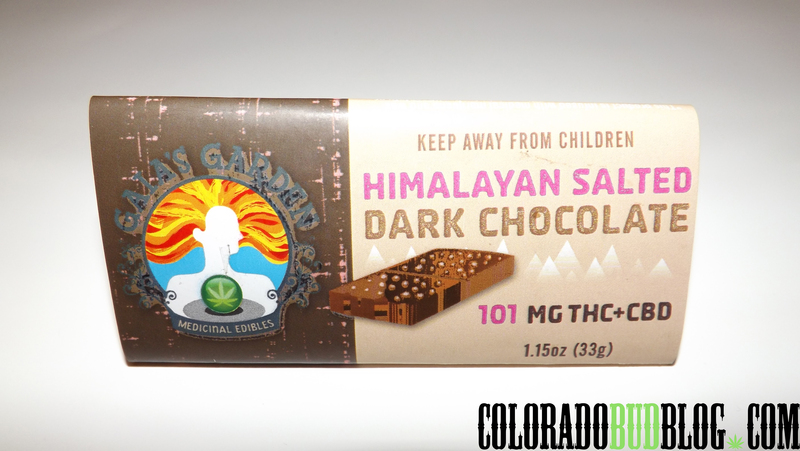 Himalayan Salted Dark Chocolate Bar made by Gaia’s Garden Edibles. 101mg THC/CBD. 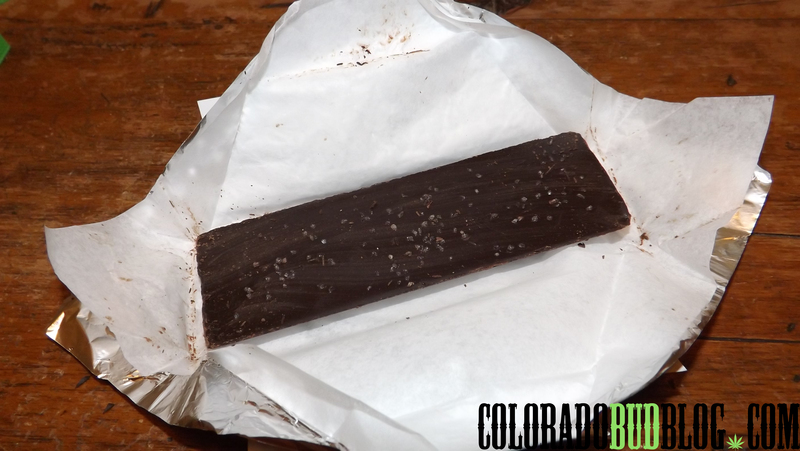 This is the Himalayan Salted Dark Chocolate Bar. 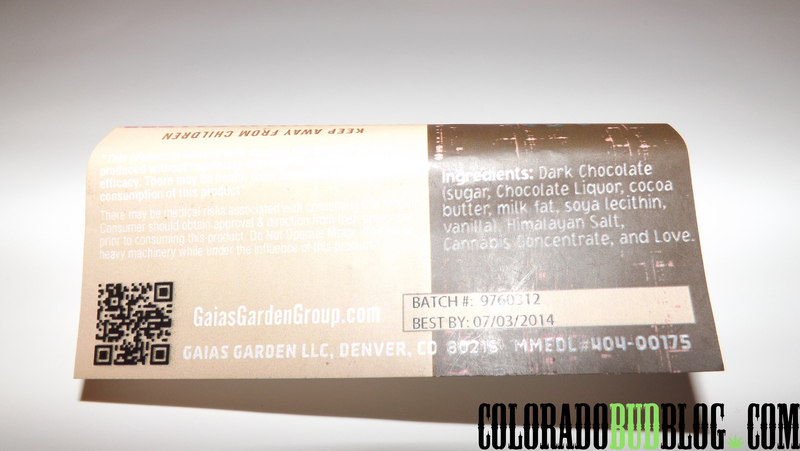 It is the latest candy bar I have tried from Gaia’s Garden, and it is by far one of my favorites. I love dark chocolate, so this one was very appealing to me! 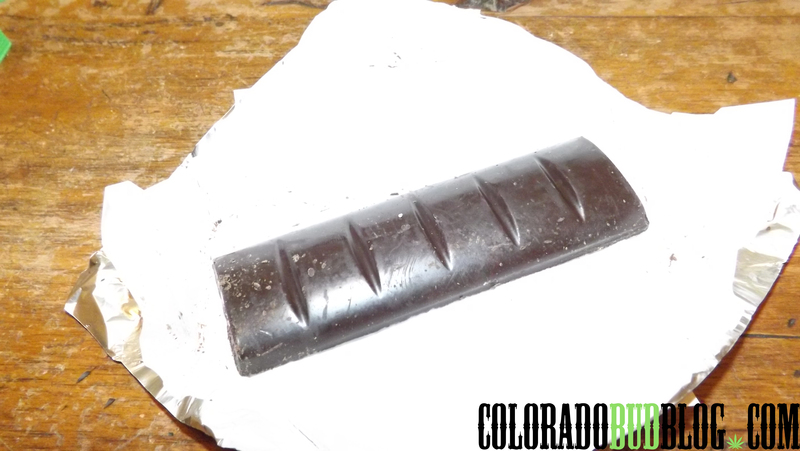 It has a good dark chocolate taste, with a salty kick to balance it out. Definitely one of my favorites!